Kailua Guided Kayaking Tour Nothing Like it! Trained Naturalist’s will guide you along this beautiful coastal area of Kailua to several close offshore islets! This paddling tour takes place on calm-reef protected waters on Kailua Bay, Oahu. One of our trained Naturalist’s will guide you along this beautiful coastal area to several close offshore islets. Along the way, you will see our most important resident, the Hawaiian Green Sea Turtle. Your guide, well-versed in Hawaiian history, marine life, and our island’s geological formations will tell stories and impart thought provoking information about Hawaii that most visitors would love to hear about. You will be landing your safe and stable sit-on-top kayak on one of the two-world famous beaches (Kailua or Lanikai) for some snorkeling with our tropical fish and turtles. Your guide is also a master paddler and instructor so you will learn the fun and safe way to paddle your kayak. If you choose to, our guide will even teach you how to catch a few waves. You’ll also stop at several of our close offshore islands which will include swimming and relaxing on white sandy beaches while sea and shore birds flock overhead and nest near-by. The windward coast of Oahu has over 12 varieties of seabirds inhabiting this flourishing coastline. 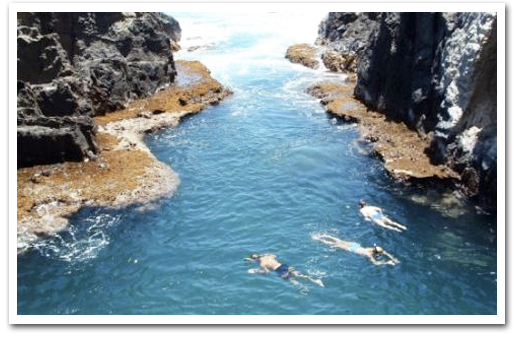 While on the island you will gently trek to natural pools or a breath-taking cove. This will be a day enjoyed by all. Lunch includes a french-style sub-sandwich, chips, and a 20 oz drink. 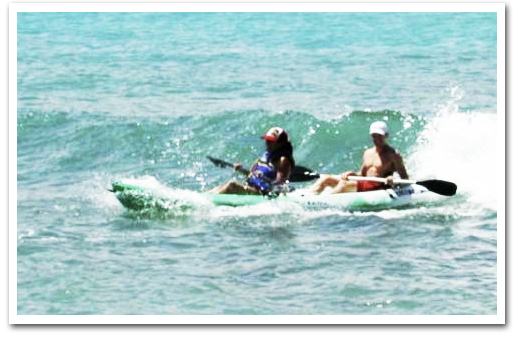 Kayaking tour packages include round-trip transportation to and from Waikiki at no charge starting at 8:15 AM. Please be ready for pick-up at guest pick-up point at hotel no later than 8:15 AM. To ensure the most enjoyable day we suggest you bring the following: Please bring your credit card for a security deposit for the equipment you will be using. (We also recommend to bring some cash in case you may want to buy souvenirs or tip your guide if your client feels it is deserved.) Please bring water-shoes or reef walkers which will allow you to walk freely in the tide pools. Please bring whatever you would normally bring to the beach for the day. Route: The Tour Guide reserves the right to alter the route depending on weather/sea conditions. When is the best time of year for paddling Kailua Bay? 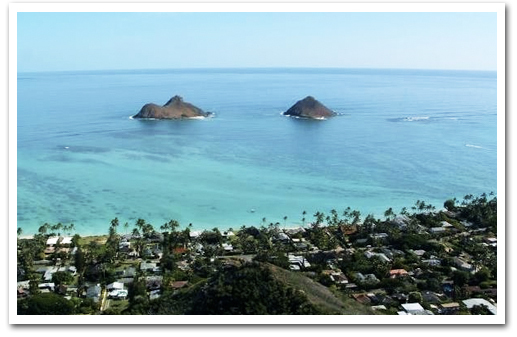 Kailua Bay enjoys the famously beautiful weather of Hawaii year round. Winter temperatures average in the high 70’s and summer is in the mid to upper 80’s. Make your plans flexible – when planning for a day of paddling allow for changes due to weather and ocean conditions. Plan to do your kayaking soon after you arrive, then if the weather is bad, we can re-schedule so that you can go kayaking when the weather is better. Why paddle in Kailua Bay? Kailua Bay may be the best destination for paddlers on Oahu. For the beginner it offers calm reef protected waters and a number of very interesting small near shore islands within easy reach of Kailua Beach. The experienced paddler will enjoy the waves outside the same reef that keeps the water calm near the beach. With beautiful sandy beaches, calm clear water, and multiple hiking options, these small islands make a great place to spend the day picnicking and exploring. 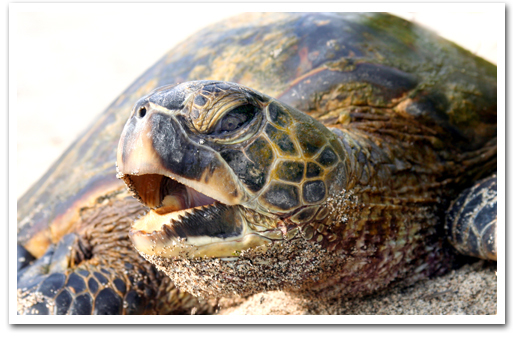 And then there’s the wildlife…Green Sea Turtles abound and are easily approached. Summer is the nesting season for a number of rare sea birds that use these islands to raise their young. 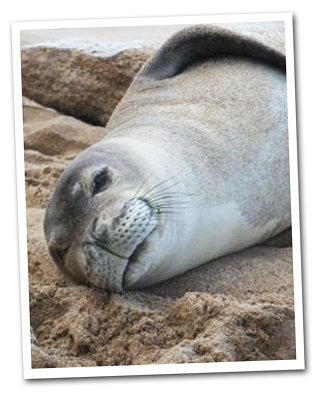 Hawaiian Spinner Dolphins and the the very rare Hawaiian Monk Seal are known to come into the bay on occasion. In winter there’s also a chance you’ll see humpback whales just off shore. What is included in our packages? Guided Tour – includes a kayak, life jacket, and paddle, picnic lunch, and a guide that will teach you paddling technique, guide you safely to off-shore islands, and tell you about the birds, marine life and histor of Hawaii. Also included in this package is snorkeling gear, a dry bag, and padded backrest for your kayak. Hotel transportation is also included in this package. 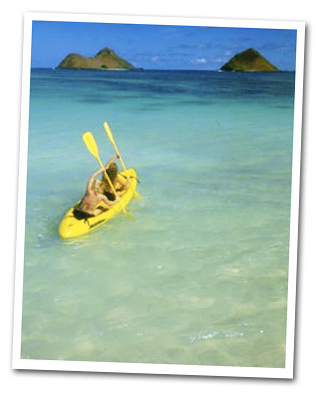 Adventure Package – includes a kayak, life jacket, and paddle, picnic lunch and hotel transportation from Waikiki. This is a self-guided package, so you get to explore on your own with the help of our map, orientation, and safety briefing! If you would like additional equipment, such as a dry bag, snorkeling gear, or a comfortable back-rest, we have it available for a small extra charge. Turtle Safari – includes mask, fins and snorkel, boogie board, picnic lunch and hotel transportation from Waikiki. Kayak rental is not included in this package. Should we go on a Guided Tour or take a Self-Guided Adventure Package? If you are of average physical ability and enjoy exploring the outdoors on your own, you’ll have a great time on our Adventure Package. However, going on the Guided Tour can make the trip safer, more informative, and help you get the most out of your day. Our guides can take you places you may not find on your own and show you things you might have missed otherwise. 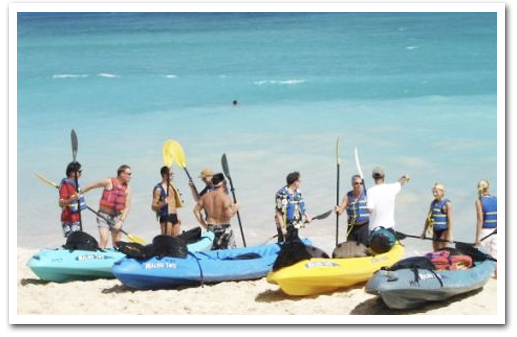 If kayaking is not for you but you want to spend some time on World Class Kailua Beach doing some snorkeling, body boarding,and playing in our warm waters, then the Turtle Safari would be right for you. Comfortable swimwear and shoes or sandals good for walking on rocks. Be prepared for a little exercise and to get wet. Sunscreen, underwater camera, hat, sunglasses, and a eyeglass retainer strap if you wear glasses/sunglasses (all of these are available at our shop if you don’t alreay have them). A Credit Card is required as a security deposit for the kayaks and other gear. Waterproof bags to keep your stuff dry are available to rent at $3.00 a day. When will we be back at the end of the day? You will be picked up at the launch point at 3:00PM. This will get you back to your hotel at approximately 3:45PM. What will be the highlight of the day? Seeing turtles is always a highlight. Many of our clients have said the guided hike around the offshore islands was the highlight of their visit to Hawaii and one of the most interesting hikes they’ve ever been on, EVER! Price and contents: subject to change. To cancel or make changes to your reservation, please call (808) 721-1552. « Hawaii Five-0 The new Hawii 5-0 Pilot is Picked up by CBS Great for Waikiki, Oahu.